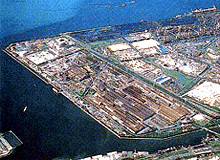 Company: Daido Steel Co., Ltd. It took only 40 days for the customer to complete the entire replacement. The customer is working on the next replacement and is aiming to reduce engineering time even further. 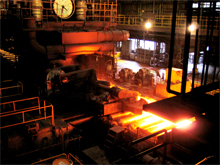 About Daido Steel Co., Ltd.
Daido Steel is one of the world's largest specialty steel manufacturers and has been in business for nearly a century, supplying a wide variety of materials to customers around the world in a variety of industries. A STARDOM system has been installed at the company's main Chita Plant, which employs leading-edge technology on a highly efficient continuous production line that produces 1.8 million tons of steels per year. "With the five IEC61131-3 languages, engineering was as simple as entering the process flow chart into the Logic Designer. We are satisfied with the installed STARDOM system and are working on our next replacement job with STARDOM, aiming for an even shorter completion time." Four STARDOM autonomous controllers (FCN) were independently installed on a pre-heating furnace, heating furnace, holding furnace, and waste heating boiler to control temperature, steam flow, and heavy oil consumption. With this system architecture, a failed controller affects only the equipment that it was installed on; all other equipment keeps running. As a result, the entire system becomes reliable even though it relies on a single network configuration. Before this replacement was carried out, all engineering and modification work was done by the instrumentation vendors. For this project, the customer made a new policy stipulating that system design and engineering must be performed on site to give them their own capability to perform maintenance and modifications whenever required. 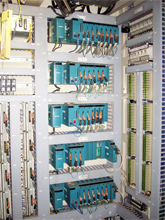 For this reason, the customer chose a system that used the IEC61131-3 standard programming languages to ensure unified program interfaces. 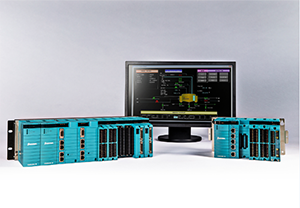 Logic Designer, a STARDOM engineering tool, supports all five IEC61131-3 languages. 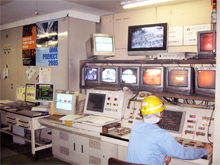 Three engineers from Daido Steel successfully completed the engineering work in just 40 days. Much of this time was spent rewriting the process flows since they and the tuning parameters had been input onto old single-loop temperature controllers. Once the process flows were updated, the same logic was easily implemented on Logic Designer. Given that Ladder Diagram (LD) is a suitable language for switching over electromagnetic valves, the customer was pleased that this language and Function Block Diagram (FBD) could coexist on the same sheet in Logic Designer. 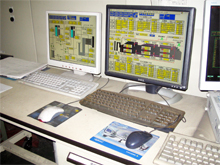 At the Chita plant, graphic displays are connected with the controllers and need to be reused even after a controller is replaced. However, the customer has experienced difficulty connecting the graphic displays with other vendors' controllers because some require dedicated displays. 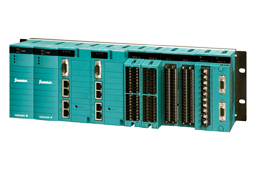 They are pleased that FCN easily connects with graphic displays via a Modbus Serial or Ethernet interface. Also, since the customer is planning to install MES, which normally is connected with an Ethernet network, they are pleased that STARDOM uses Ethernet as its control network.